Growing by leaps and bound, India's Premier Hairdressing Salon chain BBLUNT launches its 18th outlet in Mumbai. Adding 18th outlet to the kitty, India’s premier hairdressing salon, BBLUNT, has opened its 1100 sq ft salon in R City Mall in Ghatkopar, Mumbai. 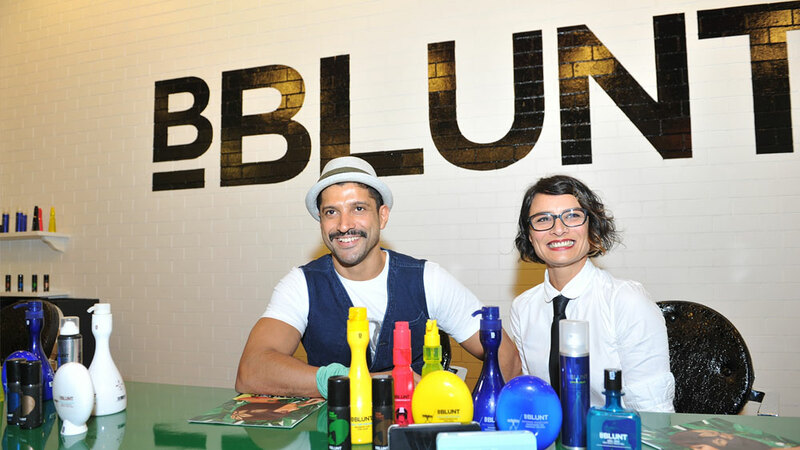 Brainchild of ace hairstylist Adhuna Akhtar, BBLUNT is the most sought-after salon chains in India. The brand is trusted and recommended by leading Bollywood actors. With the opening of its 18th outlet, the salon chain has made a remarkable place in salon chains category in India with seven outlets located in Mumbai and the rest in Bangalore, Indore, Pune, New Delhi, Hyderabad and Dubai. The new outlet was inaugurated by Bollywood actor, Farhan Akhar, who is sharing life with the brand’s Co-Founder Adhuna Akhtar. On the inaugurating event, Farhan Akhar congratulated the BBLUNT team the new member in the kitty and lauded the hard work done by the brand team to offer quality services to the clients. Before the 18th outlet, BBLUNT has made its biggest launch of the year - B SYSTEM, which is said to be India’s first integrated style system, offering a range of world-class products, tools and expertise specifically designed to suit Indian climate and hair types. It is made up of three components: Prep, Style and Transform. The B SYSTEM includes a range of shampoos, conditioners, styling products, tools, hair colours and extensions. Livon introduces Moroccan Silk Serum..